In construction, even the smallest change can make a big difference in your bottom line. Don't be fooled by other systems that claim to handle change orders. Enter, track, and manage all project changes quickly and efficiently with the powerful new Change Order Management system. With ConstructionSuite, managing change orders means more than making a note in your estimate. 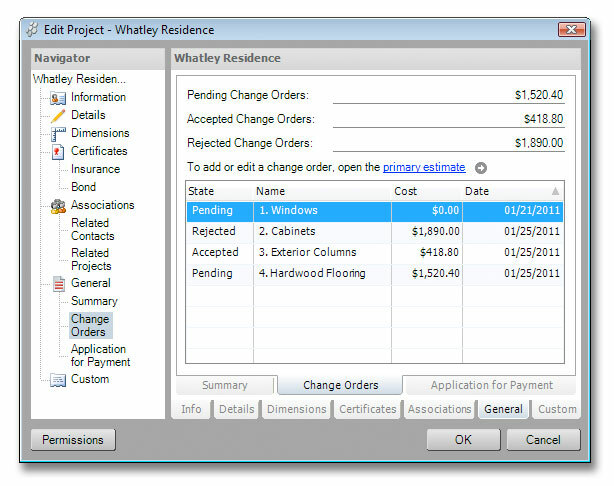 A leap in ease, accuracy, and efficiency, the remarkable new Change Order Management system enables you to designate change orders in UDA Construction Estimating software, set the status to give you real-time project costs, and generate comprehensive documentation, contracts, and forms for your vendors and customers. 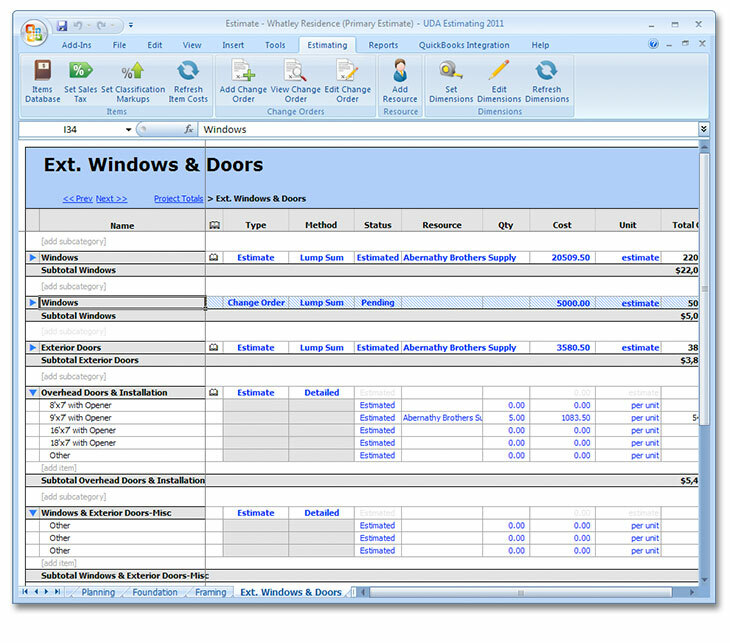 Create change orders in your construction estimate with the easy-to-use Change Order Management Wizard. Take advantage of flexible options designed to ensure that change orders are entered properly in your construction estimate and transfer seamlessly into QuickBooks for accounting tasks. Designate the status of a change order as Pending, Accepted, or Rejected to get real-time calculation of project costs. Automatically generate a Change Order Proposal for your vendors for accurate pricing and scheduling changes. Launch Change Order Contracts for your vendors and customers to ensure clear communication between everyone involved. 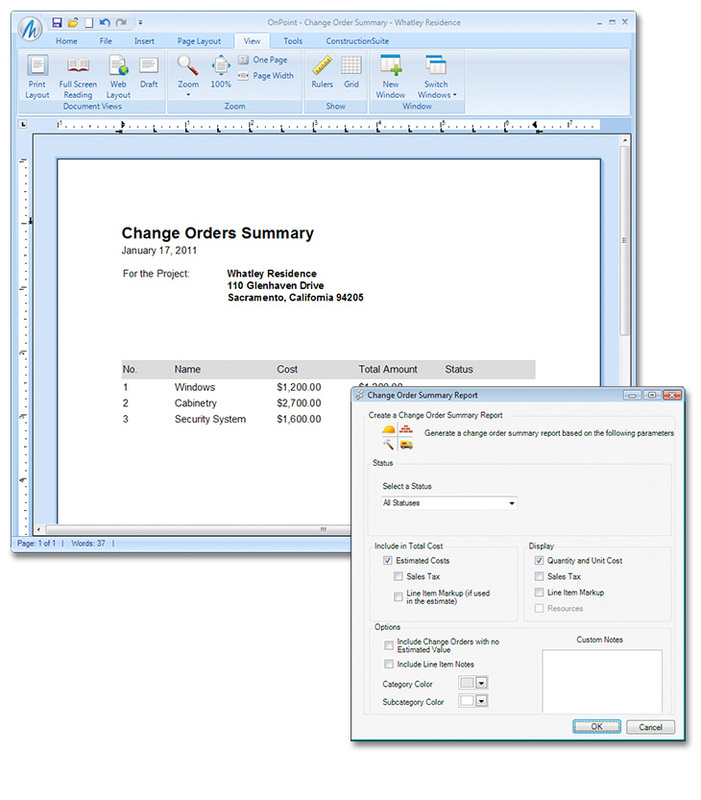 Create a Change Order Summary report for a complete record of all project changes. Manage Change Orders better than before with the ability to delete and reassign Subcategory level estimating information. Transfer negative change orders from your UDA Estimate to QuickBooks as a Credit Memo. 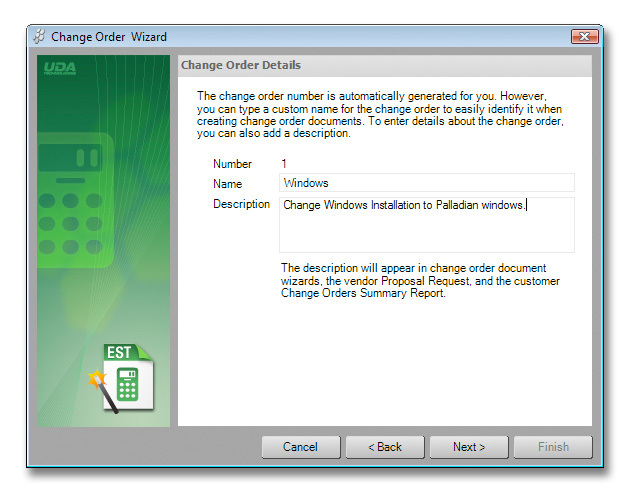 Protect yourself from Change Order Information errors with the new Change Order Auto-Save. 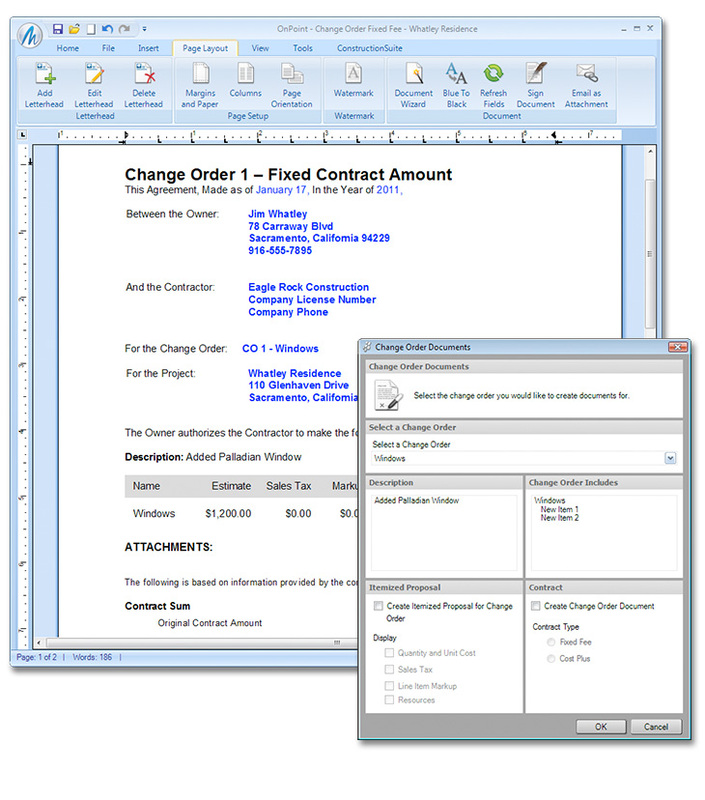 As a powerful addition to UDA construction estimating software, Change Order Management links into ConstructionNet CRM for advanced tracking; integrates with the Document Management system for automated reporting, and transfers project changes easily into QuickBooks for creating invoices and paying vendors. Change the way you look at change orders forever with the Change Order Management system, available in all ConstructionSuite Premier, Corporate, or Network editions.